A hundred and one dalmatians and more! 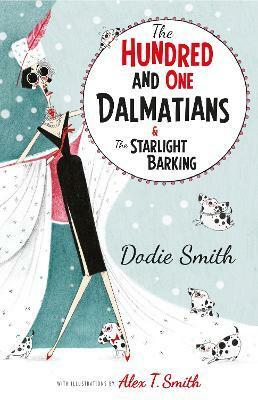 This bumper Modern Classic edition includes the original Hundred and One Dalmatians and Dodie Smith's sequel, Starlight Barking. Cruella de Vil is enough to frighten the spots off a Dalmatian puppy. So when she steals a whole family of them, the puppies' parents, Pongo and Missus, lose no time in mounting a daring rescue mission. Will they be in time to thwart Cruella's evil scheme, or have they bitten off more than they can chew? Perfect for fans of the classic Disney film. Dodie Smith was born in 1896. She made her name as a playwright before moving to the US in the 1940s where she began writing novels including I Capture the Castle in 1948 and her best-known work, The Hundred and One Dalmatians, in 1956.